Let’s say you’re in your 70s. You’ve had a twisting, turning, interesting life as a reporter, editor, freelance writer, teacher, folklore scholar and sailor. You live in a nice old house a couple of miles outside Camden village. Maybe the next stage in your journey involves simply enjoying your morning coffee, reading newspapers, corresponding with old friends and generally taking it easy after a crazy seven decades. That is a commendable course of action. But it’s not what George Chappell did. Instead, he enrolled in the creative writing program at Goddard College in Vermont, put in a couple of years of hard work honing a whole new set of writing skills, and came away with a master of fine arts degree and a book, “A Fresh Footpath: My New Life in Poetry,” which he published in 2011. They also cover people and moments from the deep and various past, as in “A Rose for John Keats,” which recounts a frieze-like moment in Italy during World War II when some American soldiers run across the poet’s gravestone and take a picture of it. This poem’s questions point to the book’s closing section, which offers writings by members of the Togus Writers’ Group. Under Chappell’s volunteer leadership, veterans Jessica Eaton, Jessica Loudermilk, Steve Brown, Roland Waiter, Roberta Record and Michael Madore record in their writings scenes from past wars (“Getting out alive. / The night before we had / been hit”) and present lives, including the story of “the meanest cat in Kennebec County,” which made me laugh out loud. There is powerful pressure nowadays for artists and writers to attach their creative pursuits to a social cause, often leading to some distinctly artificial-feeling products. But George Chappell’s efforts with the Togus group obviously evolved naturally out of the ethical demands of his art, rather than his art constructing itself around the ethical demands of a cause. It happened that way because George Chappell, who now lives in Rockland, is so stolidly focused on living a meaningful, creative life. “When Souls Walk Away” gives us more of his long-considered insights from the life that really matters. His poetic turn and its fruits — both the poems and the guidance for like-minded veterans — should be an inspiration to us all. 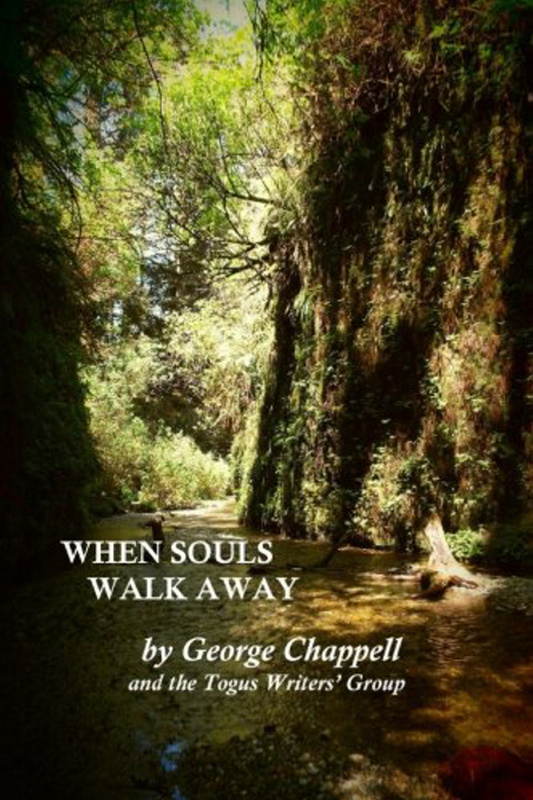 “When Souls Walk Away” is available through midcoast bookshops, online booksellers and CreateSpace. Off Radar takes note of books with Maine connections every other week in the Kennebec Journal and Morning Sentinel’s What’s Happening? Contact Dana Wilde at [email protected].